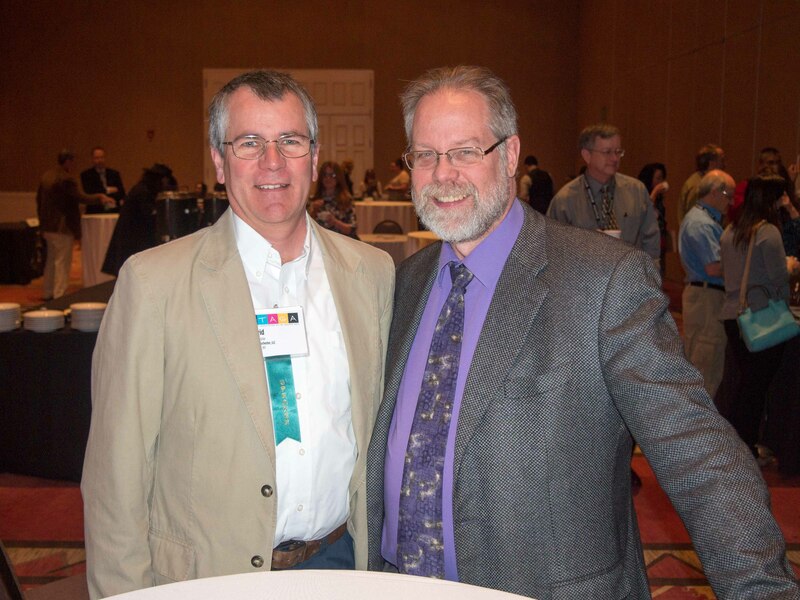 With co-author John Seymour (aka: "John the Math Guy") of Quadtech Inc, Dave Wyble presented the paper "Investigation of the Implementation Aspects of the M1 Condition" at the 2015 TAGA conference in Albuquerque NM. The paper described the use of a set of fluorescent acrylic tiles to infer the nature of the light source in a commercial spectrophotometer. As an informal member of the RIT contingent, Dave also got a plug in this RIT press release. The paper comes at a time when the critical need for characterizing paper fluorescence is having a significant impact on the ability of the printing industry to deliver accurate color. With fluorescent substrates, the properties of the light source in the measurement instrument can dominate all other considerations. This paper provides some guidance towards using the FTS standards from Avian Technologies to improve the paper color measurements, leading to improved process and color control.